The ultimate foot file. For smooth beautiful feet. 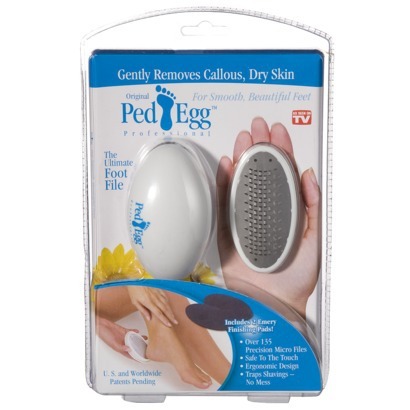 Gently removes callous, dry skin. Over 135 precision micro files. Safe to the touch. Traps shavings, no mess. Bonus 3 emery finishing pads included.Colors May Vary. Order yours today– but you’d better hurry Christmas is right around the corner. I bet you can’t wait to see the joy on their faces when they tear open the package and finding a Safety Gip Handle. Well look at it this way, it’s not a can of Simonize!